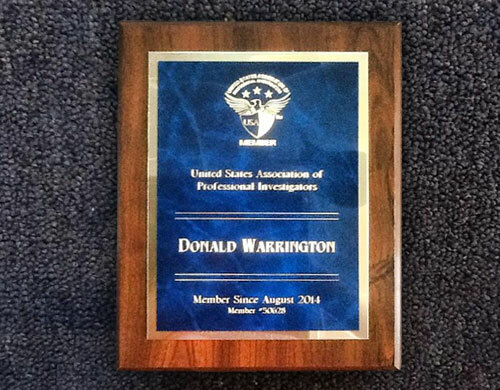 USA Trophy is Orange County's best choice for cast bronze, wood, acrylic, and piano finish plaques. Over the last 20 years, we've produced millions of custom trophies and plaques, including award plaques, memorial plaques, military plaques, employee plaques, wall plaques, commemorative plaques, perpetual plaques, and more. By offering a diverse range of plaques and expert in-house engraving and sublimation services, we've helped thousands of clients get the plaques they needed at prices they could afford. Cast Bronze Plaques - Cast bronze plaques are all oxidized so they can easily last decades, making them perfect for memorializing loved ones or commemorating special events. At USA Trophy, we're able to create 3D effects and engrave the likeness of a person, landscape, or design onto the plaque. Clients may customize their cast bronze plaque in nearly any way they'd like, from the way it is mounted, to the type of border and background, to the style of lettering. At USA Trophy, we're proud to be one of the few companies that can produce commemorative or memorial plaques in color. Wood Plaques - For a more natural or rustic look, clients may choose to create a wood plaque. Clients may have writing engraved directly into the wood or onto an artistic/designer plate on top of the plaque for a more polished look. Acrylic Plaques - Acrylic plaques are popular for their crystal-like appearance and cost-effective price range. These plaques come in a variety of colors, shapes, and sizes. Piano Finish Plaques - Our beautiful piano finish plaques are most popular in the corporate world for their distinguished look. Clients may choose from a selection of piano finish colors including rosewood and black, and writing can be engraved into the board itself or onto an artistic/designer plate on top of the plaque. Piano finish plaques make excellent keepsakes and individual awards. Perpetual Plaques - Perpetual plaques are designed to allow companies or organizations to continuously add names onto an award, making them ideal for recognizing multiple high-performing individuals such as teacher of the year, outstanding team members, high level donors, and more. An engraved plaque is an excellent way to honor an outstanding individual, remember an important event, or dedicate a building. If you are interested in learning more about our custom engraved plaques, call us or visit us at our location in Laguna Hills. Our showroom is open Monday through Friday 12:00 p.m. - 8:00 p.m. and on weekends by appointment only. We can also accommodate after-hour appointments and services and are ALWAYS reachable by phone, e-mail and fax. You are welcome to come into the shop, discuss your needs with our owner, and view our in-store display plaques and catalogues. Most personalized plaques can be ready in two to four days, but bronze plaques can take approximately six weeks to complete.